My mom says the secret of Porcini mushroom risotto is to stir it like crazy | Mom, How do I make this? Risotto is one of those things I never make because I think it’s going to be too hard. Except, it’s not. It’s easy, and it just TASTES like it was really difficult to make. My mom says the secret is that you just have to stir it, a lot. If you have dried mushrooms, put them into about a cup of boiling water and let sit while you do this other stuff. If you have fresh mushrooms, cut them up and stand by. Dice the onion, mince the garlic. 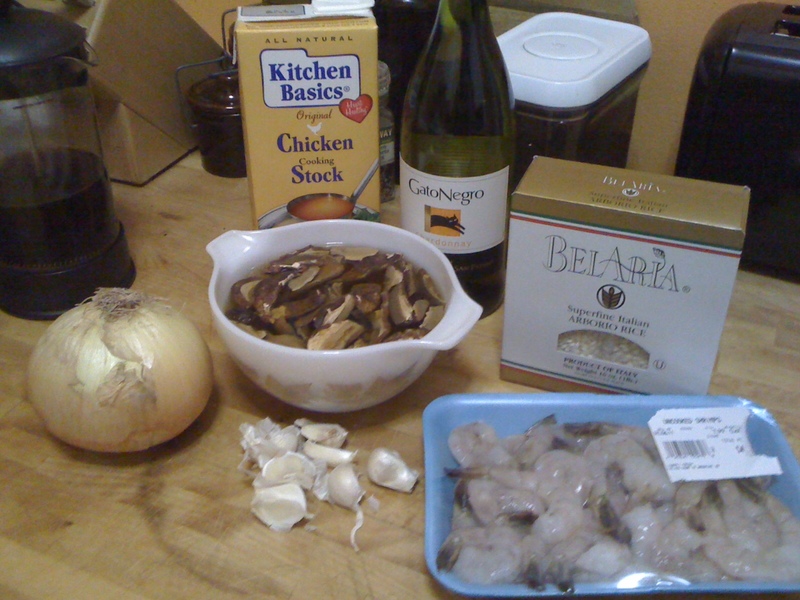 Put about 3/4 the garlic aside for the shrimp. 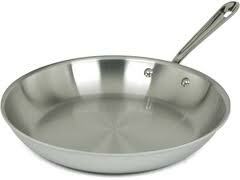 Throw some olive oil in the pan, enough to thinly cover the bottom. Medium heat, toss the onion and garlic in. When the onion is translucent, toss the rice in, folding the olive oil and onion, garlic in. Cook another five minutes, then remove the mushrooms from the water, set them aside and toss mushroom-y water in, or use a cup of chicken or vegetable broth and stir, stir, stir. Reduce heat. Fresh mushroom peoples: In another pan, saute the mushrooms with a little olive oil, salt and pepper until they reduce down, then set them aside. 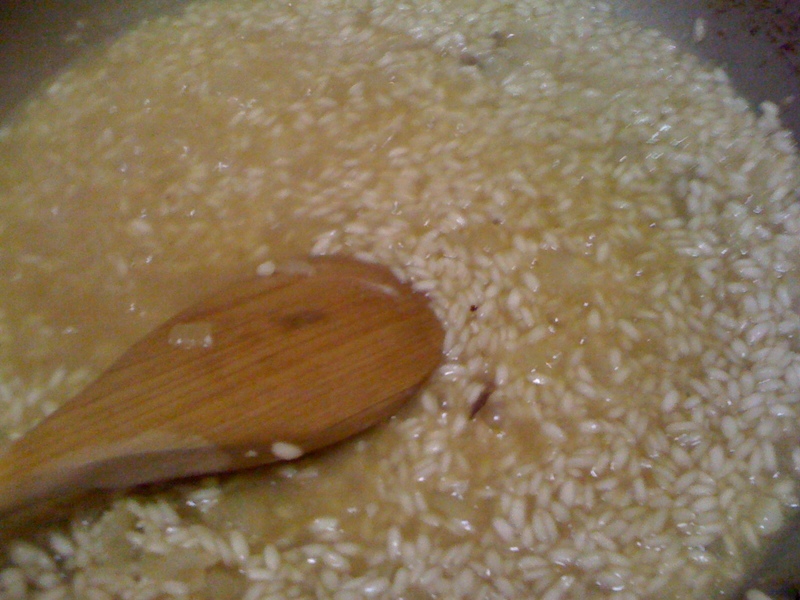 Continue to stir the rice until the broth is near gone, then add 1/4 cup of white wine and stir some more. Salt and pepper it. As the rice boils down, it gets a sort of creamy consistency. Continue to add broth after the liquid reduces down until the rice looks translucent. That’s about 35 minutes. You can add a little more wine too if it needs more of a kick. At the 25 minute mark, or so, fold the mushrooms in to the risotto. Taste it! Is it crunchy? If so, it needs more time and more broth or wine. If it’s not crunchy, it’s done. Add about three handfuls of grated cheese. Meanwhile, heat up a second pan and toss in the rest of the garlic, parsley and more olive oil. 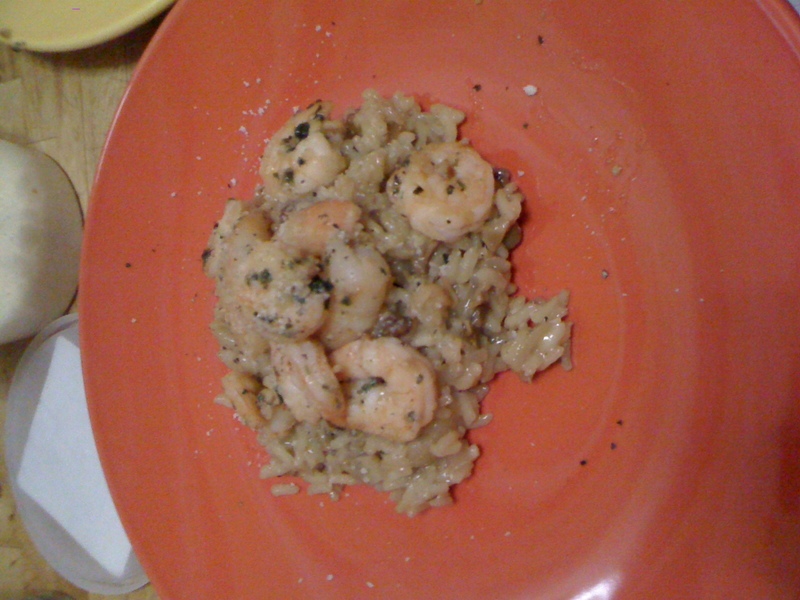 Saute the shrimps until they’re pink and feel fleshy instead of mushy. That takes very little time, about 10 minutes.